There is an interesting website that give opportunity to monitor external websites and get immediately email alerting. While downnotifier.com does a good job, it's not really user-friendly and doesn’t work quite fast. There was “ 451 4.7.0 Timeout” as you can see. So, following this article, we understood that it was a networking problem and we opened a major case to MPLS provider and we solved after their intervention. 1. Download and configure binaries as a service. 3. Verify though browser IPs leased to clients. About password recovery I found this tool Lost Windows Password Key, it is not free but it work fine. Veeam B&R with Plus license gives the ability to enable Veeam Backup copy feature on differente sites utilizing Deduplication option to minimize Bandwidth usage. You should buy on each site QNAP storage (that has plenty of advantages and very aggressive price) and utilizing deduplication features that this product provides. 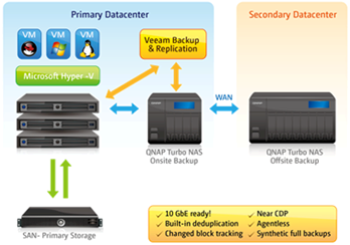 Utilizing QNAP as local Veeam Backup repository backup deduplication can work with a remote Qnap with settings that you prefer. More information about this solution and QNAP features here they are. Audacious runs on Linux, on BSD derivatives, and on Microsoft Windows. To download and install the latest version (currently 3.7), please see the download page. You can also select multiple MMC snap-ins and then open them in MMC application. On Exchange is very important to view if there are any strange accesses on other user's mailboxes. On windows 10 Skype often hangup. Quit Skype or use Windows Task Manager to kill any Skype.exe process. Start --> %appdata% and then press Enter or click the OK button. Locate a folder named “Skype”. Rename this folder to something different, e.g. Skype.old. Start --> %temp%\skype and then press Enter. Select compatibility mode Windows Vista SP2. In menu Tools / Options / Advanced / Connection turned off the option "Enable uPnP" - this solves the issue with hanging Skype on start up in compatibility mode. In any case there are several workaround reading this skype community forum. If you upgraded your server to Windows 2012/R2 you will see c:\windows.old folder. It will appear Clean up system Files button, after that you will be prompted to remove windows.old or precedents windows installations.